All event proceeds will be donated to FRIEDENSDORF INTERNATIONAL and ACE (Action against Child Exploitation). Please refrain from bringing your own drinks and food. Thanks! Bring your own cups! This is a small action toward protecting the environment (and toward peace! ), and those who do so may get beer and juice at reduced prices. Goods such as aroma oils, beeswax candles, herb tea, etc. will be available from the vie arome Kunitachi shop. During the show, 30% of all sales proceeds will be donated to Friedensdorf International and ACE! All event proceeds will be donated to organizations supporting the rights of children. 90% will go to FRIEDENSDORF INTERNATIONAL, an organization in Germany working to heal the physical and psychological wounds of children affected by war. 10% will go to ACE (Action against Child Exploitation), a Japan-based organization working for the rights of children both domestically and overseas. 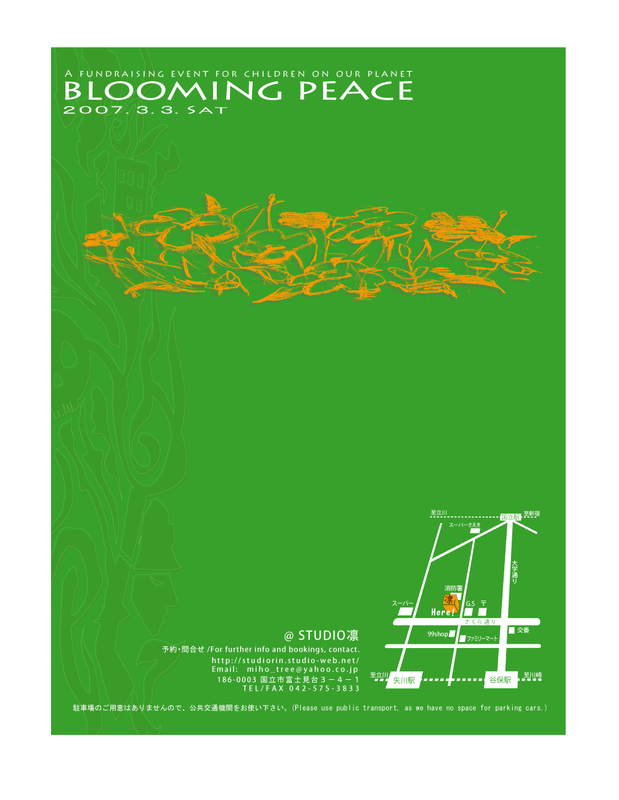 Special thanks to all guests and staff for supporting "Blooming Peace"! This event is coordinated by the "Flower blooming into a tree"